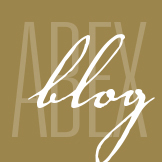 November 2018 - ABEX Affiliated Brokers Exchange Inc. Investigations are often complex and can involve navigating sensitive topics and disputes. More than ever before, companies face irreversible reputational damage and negative publicity if they mishandle workplace investigations. Who to interview—Interviews should be conducted with respondents, complainants and witnesses at a minimum. It’s a good idea to only interview those who have information relevant to the case. It may also be helpful to have more than one investigator present during the interview. What order to interview—Employers should be cognizant of the interview order. Generally, businesses should interview the complainant first, any witnesses second and the respondent third. Schedule follow-up interviews as needed. Each subject should be informed that the interview process is confidential. What happened? When and where did it happen? Who was present? Who did or said what? Why did it happen? Is there evidence? Who else may have relevant information? Interview responses and other relevant details should be recorded throughout the investigative process. Investigators should take detailed notes, which will help during the review process. Change your passwords every 90 days. This might seem like a hassle at first, but hackers have a better chance at cracking your passwords if they never change. It’s also a good idea to avoid reusing passwords. Make your passwords at least eight characters long. Generally, the longer a password is, the harder it is to guess. Don’t use the same password for each account. Hackers target lower security websites and then test cracked passwords on higher security sites. Make sure each account has a different password. Include uppercase letters and special characters in your password. Special characters include symbols like “#,” “*,” “+” and “>.” These symbols can make your password more complex and harder to guess. Avoid using the names of spouses, kids or pets in your password. All it takes for a hacker to crack passwords that include these things is a little research on social media sites like Facebook and Twitter.